The ill-fated National Indigenous Art Gallery proposed for Alice Springs has cost NT taxpayers more than $1 million, despite the risk it may never be built. Figures requested by the ABC show the majority of the $1,010,904 was spent on consultation. A large majority went on what Labor staffers have described as “project implementation” and “national consultation” fees, which slugged taxpayers $682,078. The rest was spent on “local community consultation” ($211,749) and “expert reference groups” ($177,077). Now it appears this money may have been spent in vain. Last week, Chief Minister Michael Gunner publicly revealed the project had lost support of “key traditional owners” and its future was now under consideration. Traditional owner Benedict Stevens told ABC on Sunday that he had felt pressured to give approval to the proposal when there was a lack of unanimous support between Aboriginal families for where it should be built. “I think I made a mistake, me just being the only spokesperson,” Mr Stevens said. Ironically, considering where the money has been spent, traditional owners have said a lack of consultation was partly what has driven the project down. Mr Stevens has accused the Labor Government of singling him out to get the project across the line. “It was only me, not the wider families … they should’ve been [talking with more people],” he said. Opposition leader Gary Higgins said he believed part of the problem with Labor’s consultation was that recommendations given during the process were overridden. “It’s been completely mishandled right from the start,” Mr Higgins said. 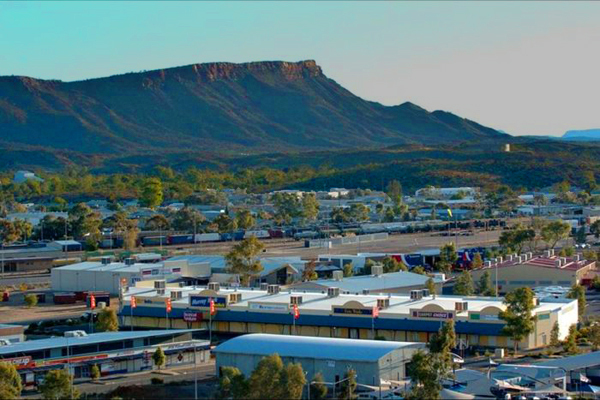 He cited the furore sparked when the recommendations of an initial “expert reference group” were dismissed in favour of Alice Springs business interests to locate the project close to the town’s CBD at Anzac Oval. “If you’re going to do consultation and you’re going to set up committees, you don’t do that and then not take any notice of what they’ve recommended to you,” Mr Higgins said. A failure to consult with the right Indigenous families was another crucial flaw, he said. “I was the arts minister when we originally put funding into this, and one of the key things that I said at the time was that you need to involve all of the Indigenous people and they need to be consulted,” Mr Higgins said. Arts Minister Lauren Moss said the government was “continuing to seek clarification around the [traditional owners’] change in support”. “Those conversations are ongoing,” Ms Moss said. “This is a really important project, it’s a really important economic project for the future of Alice Springs and for this nation. She did not rule out the project being shifted to a different location.